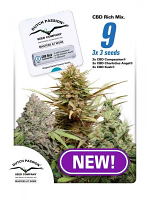 Qwad Dawg Regular Marijuana Seeds by AlphaKronik Genes Seeds: Qwad Dawg is a new hybrid that was made to stabilize the flavour found within the Snowdawg 2 while adding more vigour to the line. The Snowdawg is long known for heavy yields, intense flavour, and for making superior ice-water extract. 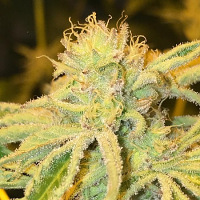 By crossing the best progeny of the Snowdawg 2 line, AlphaKronik Genes made a new hybrid that possesses many of the best traits of the original Snowdawg mom, but with added sweetness and a new flavour profile. 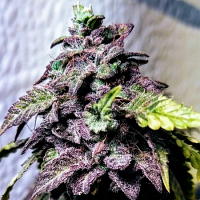 The tastes and aromas that are found in Qwad Dawg range from Over-ripened fruit to Cotton Candy with an underlying diesel flavour that coats the mouth. 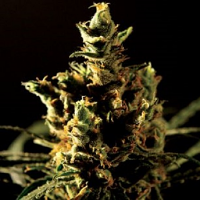 Expect large yields of extremely sticky, medium density buds that grow in a conical shape with good branching and tight node separation. 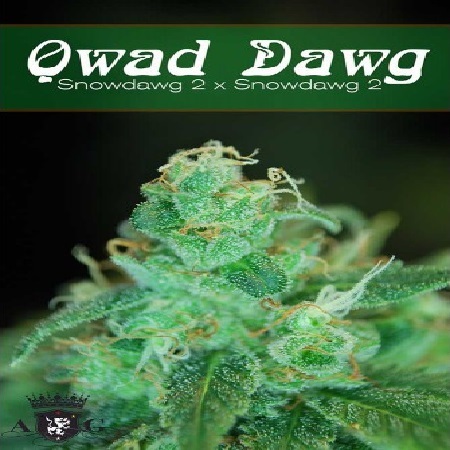 Qwad Dawg is also resistant to mould and mildew. 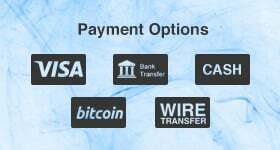 Qwad Dawg has been shown to offer relief from Anxiety, Depression, PTSD, Fibromyalgia, Rheumatoid Arthritis, and Chronic Pain.